With the new iOS 10, the Apple iPad mini 4 is the smallest and most powerful iPad yet. 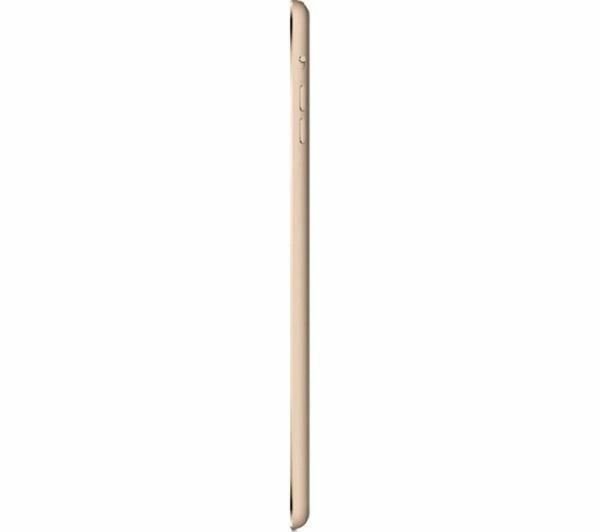 Weighing in 10% lighter than the mini 3, this is the lightest iPad on the market. It can be carried anywhere, and thanks to the quality aluminium case, can stand up to everyday use. The smaller chassis doesn't mean you have to sacrifice battery power - the iPad mini 4 has the same 10 hour battery life as its predecessor, giving you more than enough power for your day. Despite its compact size, the mini delivers a full iPad experience. The 7.9” Retina Display is perfectly sized to give you a complete view of your digital content and features a higher-than-HD resolution, so you can enjoy videos, photos and more in beautiful detail. Along with fast processing that ensures apps run at their best, the powerful A8 processor delivers impressive graphics that take mobile gaming to the next level, so you can enjoy the best of your favourite touchscreen games wherever you are. Keeping your private information private is quick and easy thanks to the new Touch ID fingerprint scanner - simply swipe your finger over the sensor embedded in the Home button to unlock your account. Connecting and charging are easier than ever with the Lightning connector. A Lightning to USB cable is supplied, so you can charge and share data with ease. Staying in touch with far-away friends is simple thanks to the HD FaceTime camera, while the improved iSight camera gives you fantastic 8 MP images wherever you are. You can easily shoot expansive panoramas, edit and share to your social network or contacts with little more than the tap of the screen - perfect for travelling or documenting your life. Along with WiFi speeds of up to 866 Mbps, the iPad mini 4 Cellular features 4G technology to keep you online even when there's no WiFi coverage. Whether you're browsing at home or in a foreign country, you can choose a mobile data plan using Apple SIM directly from the iPad. 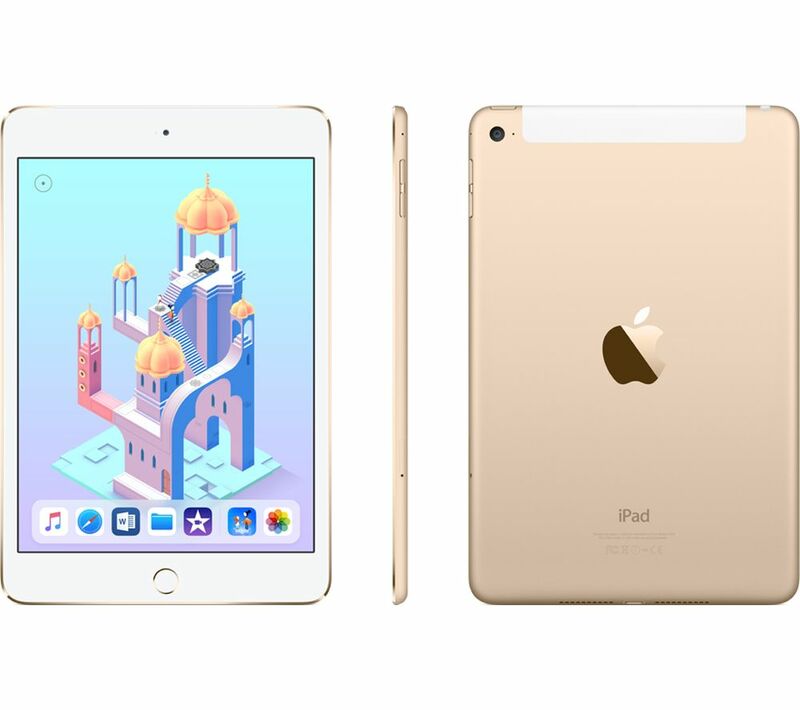 Enjoy a full iPad experience in the palm of your hand with the Apple iPad mini 4.